I’ve personally been using home automation gadgets for roughly 25 years now (geesh, I’m getting old! ), and I’ve been reporting on them officially since early 2014. My own smart home, as “cool” and advanced as it is, is still pretty dumb sometimes. GPS not working on my iPhone? Lights don’t turn off when I leave home. Power outage? I have to reset multiple systems to get everything back in sync. Internet goes out? I can’t change the temperature remotely. Adding a new device to a scene or routine? Can’t ask Google or Alexa to do it, it’s still a manual process. For as much as the “smart home” has evolved, it really hasn’t. Sure, it’s just easier to connect and control our devices these days. The modern smartphone revolution is what really gave birth to the connected home as we know it, but today the smart home is awash in gadgets. There really isn’t that much intelligence there, at least not yet. And there’s that term again “manually”. It is the big impediment to home automation, and has been since the industry began. In the “old days” of DIY-style automation, you were usually limited to X10. It was unreliable, clunky and pretty nerdy. No one wanted to set code dials manually, press special sequences of buttons, or program special hardware controllers using Windows 95. Today, getting started with home automation goes something like this: “I want all of the things! I want the colored lights! And the door locks! And the shiny thermostats!” And then, invariably, “Wait? This Zigbee thing doesn’t work with my phone? What’s a Zigbee, anyways?” To get around some compatibility issues, some companies have introduced smart home hubs, each one with a different interface and each one trying to help the user—that’s you—setup their smart home with ease. Some are hardware-based, and some of them are just smartphone apps. All of them have various limitations. Some of them even try to make suggestions on what you should do with your shiny new gadgets once you’ve connected them. But most all of them—alright, I’ll say it—completely fail (to make the smart home simple and useful). Personally, I use a mixed bag of smart home devices, hubs and systems. Certain parts of my smart home run on code that I’ve written myself, because no other appropriate solution existed. It works for me, and it’s a great place to show off the various connected technologies on Smarter Home Life…but for a home automation newbie it would be a mess if things went wrong. Because of the proliferation of connected devices in the past decade, the smart home is actally harder to use than it used to be. More devices make for a more difficult process to make them do what you want them to do. For as much criticism as HomeKit gets, Apple has done an excellent job in making their smart home platform very simple. If you just use their Home app, the interface to control different devices is clean and easy-to-understand. And, Apple does a great job in hiding all the technical bits that you don’t need to worry about. And yes, HomeKit is a “walled garden” but generally works pretty well. You don’t have to worry about controlling a light from company A or company B, they are all supposed to “just work”. And you don’t have to learn a different interface for each product, either. A common, easy-to-understand interface is just one piece of the puzzle. Alexa, Google Assistant and Siri are helping us get there…as long we don’t have to say “Hey Google, ask XYZ Lighting to turn on their special new-fangled light strip product.” It has to be more natural than that. It has to be, well, very natural. As I’ve discussed previously, the current crop of digital assistants aren’t that great, but are indeed evolving and improving. And this brings me to the missing element of the smart home: intelligence. It’s why I chose to place “The Thinking Statue” (Rodin’s The Thinker) in the imagery for this piece. It’s why the Smarter Home Life logo is a stylized light bulb in front of a simple representation of a home. To be truly “smart”, the smart home needs a good dose of intelligence. It’s not enough for your coffeemaker to talk to Amazon and re-order your favorite morning blend. It’s not enough that your thermostat senses that no one is home and signals your smart lights to turn off. Much of that has to be setup or programmed by the user, and many times they don’t even know those options exist. For the smart home to truly live up to its potential, it must become platform-based…at least for controlling it. And the platform will need to have at least some AI that helps you to setup and operate your smart gadgets. When I speak of platform, I don’t mean that all of your lights will be made by Google. But merely that you’ll wind up picking a platform such as Google, Amazon or Apple to help you control all of your stuff from different companies. Now, I know what you’re thinking. “Well, I am not going to trust my home to Google or Amazon, or even Apple!” Well, one day, it will probably be commonplace. And in fact, many people already trust their homes to Apple (by way of HomeKit). And to Amazon and Google, to a lesser extent. The intelligence example that all three of them will have to follow is one that “came out of left field” at CES earlier this year: Vivint’s AI-based Sky platform. 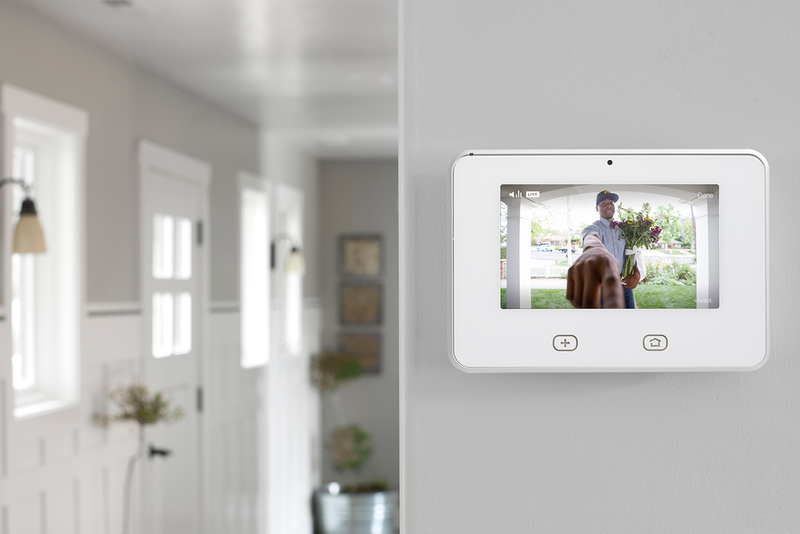 Vivint is a smart-home-as-a-service provider that used to only be in the security industry, but today they are firmly in the smart home world. Their solutions are dealer-installed only, and the Sky platform is optional right now. As they described it to me at CES, Sky works by learning about a user’s smart home and their behavior. It is based on the user giving permission to the AI platform to monitor the devices and people’s routines in the home. Slowly over time, Sky will recommend actions to be automated, and ask permission to perform them. Eventually, the system will simply perform the recommended actions and let the user know they were completed. But even the Sky system example is just the beginning. Again, Vivint’s platform can accomplish this because, well, it’s a platform. It’s a walled garden that’s similar, in a sense, to HomeKit. But great platforms don’t have to be walled gardens, they just need all of the right elements. Amazon’s upcoming Echo Plus smart speaker with its built-in smart home hub gives us a clue as to another direction where the smart home should travel: automated setup. 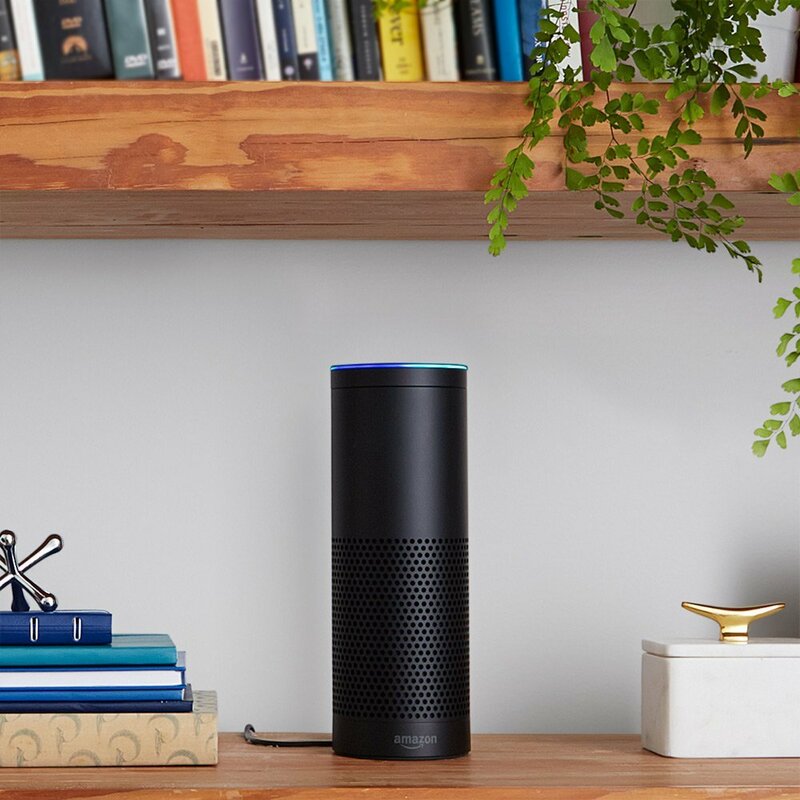 The product details of the Echo Plus describe “automatic device discovery”. This one point is incredibly important. It is still pretty tedious these days, even the best of conditions, to manually add devices to a smart home hub or even a smart speaker. Making the process of adding new devices to your existing smart home (or setting up from scratch) simple and automated will greatly benefit those who don’t have time to fiddle around with these connected gadgets. Is there a motion sensor in your office? Is it tied to an existing light? Should Alexa offer to add the office lamp to that automation? What if you want to adjust its automation or scene? Should Alexa offer a visual representation of it via an app? The changes could be visually confirmed, or you could perhaps adjust them without voice interaction. And that’s just the tip of the iceberg. For this article, I won’t even go into adding intelligence to camera and sensor alerts, although we can see the beginnings of some of this with person-recognition from companies like Nest and Ring. But what I’m talking about is the step-by-step process of what the automation asks you about when one of these events is triggered and you’re skiing the Swiss Alps with no cell service. And, of course, every other conceivable smart home event. Guided or automated smart home setup. Automated home automation. A smart home with real intelligence. All of these concepts mean that you will have to trust your home’s “platform”, and let the platform learn your daily routines so it can help your home adapt to them. This will undoubtedly generate a large amount of data about your smart home. The issues that first come to mind with an intelligent home and its data are, of course, privacy and trust. Will any of us really trust Apple, Amazon or Google with the “keys to our homes”? Some of us already do. Apple (probably) won’t use our home’s data for other purposes. Amazon will try to sell us stuff based on it. And Google will try to show us ads based on our routines. Some would say that “big brother” can probably already get at that data no matter which platform it resides on. Are you ready for the truly intelligent home? It will require your trust.